1. A suprise release from Prop & Jet is #72202, the Yakovlev 'EG' co-axial prototype that was developed at the same time as Kamov's first co-axial projects. This is very different from the rather rudimentary kit which was available from Unicraft. You get about 50 parts finely moulded in grey resin, a couple of acetate instrument panel inserts, and 2 sets of the vacform nose & canopy (one spare). The canopy moulding is every bit as good as the resin, with clear windows and crisp panel lines and window frames. Included among the resin parts is a very nice 5-cylinder radial engine and associated parts, which unfortunately are going to be almost completely hidden in the interior. The moulding of the rotor blades, blade roots, and rotor hubs has been carefully thought out to maximise join strength without the tiresome procedure of drilling holes and inserting metal pins that is so often necessary with resin kits. 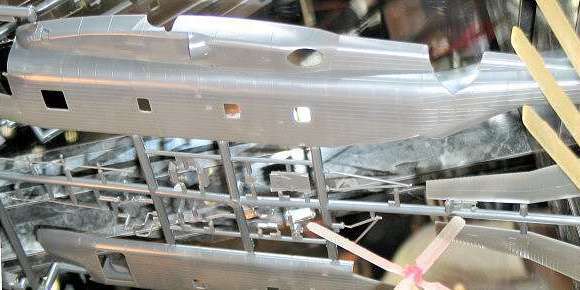 Some control rods and other small details need to be made from stretched sprue or other suitable materials. The instructions consist of nine blow-up assembly diagrams, but beware that the numbering of the engine parts in the centre diagram does not match the numbers on the pour-stubs of these parts! The kit is available from Linden Hill Imports, among others. 2. A new 1:72 Kamov Ka-52 Alligator is now available from Revell, #04483. 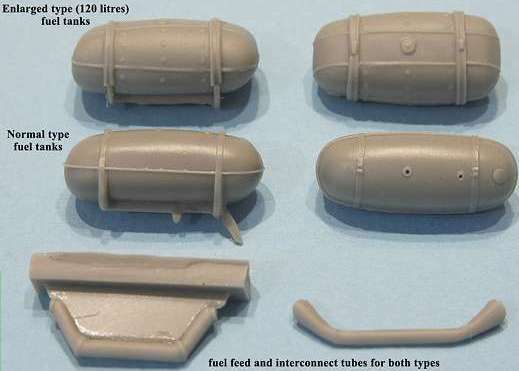 This may be a licenced re-issue of either the original Italeri/Zvezda kit, or of the newer Zvezda mould? 3. Italeri have issued their re-boxed 1:72 UH-34J Sea Horse, this time its #1066. The box tells us that it has decals for the USA, France and Germany, so we anticipate that the markings will be identical to those in the original box. A very welcome re-release, nonetheless. 4. This year's iHobbyExpo in Los Angeles was relatively quiet on the scale modelling front, but one highlight was the appearance of a prototype cut and a (less than perfect) test shot of the forthcoming Academy / MRC 1:48 CH-53E Sea Stallion / Jolly Green Giant. 6. 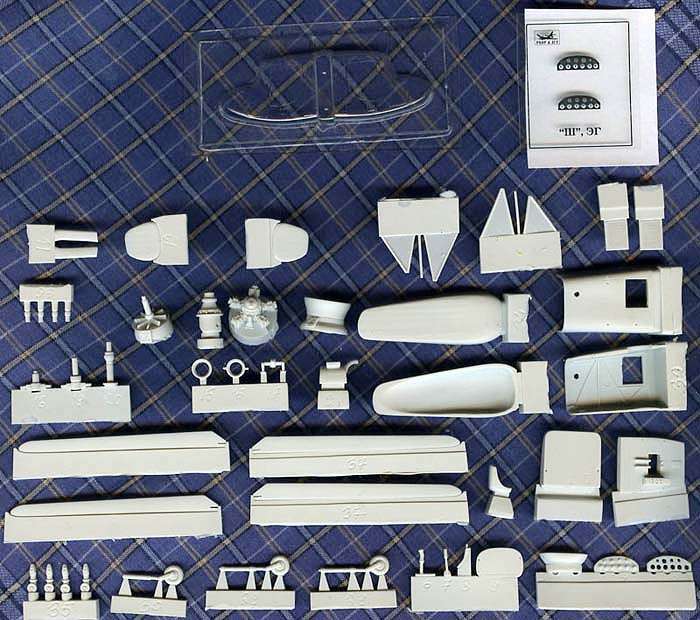 New from Alitaliane is a detail set for the 1:48 Italeri Bell 47, designed to make Agusta-Bell 47G and G3B1 aircraft. 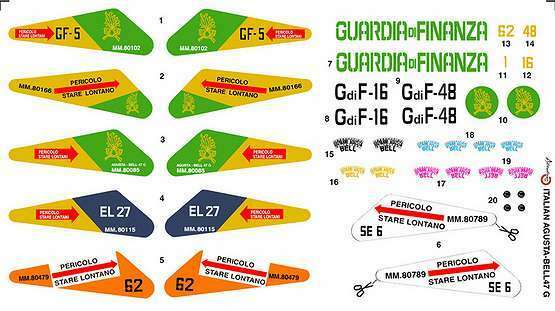 It contains two different pairs of fuel tanks and a decal sheet with vertical fin markings for seven aircraft, four from the Guardia di Finanza, and three from the Italian Air Force. It will be available from MisterKit of Milan, who will be trading at Scale ModelWorld 2005 this coming weekend. 8. Hannants have re-issued the Airwaves Sea King sand-filter accessory set AES72124. This is a resin filter box with etched brass mesh inserts, designed for use with Revell and Fujimi Sea Kings. 9. Zvezda publish their own modelling magazine, entitled Stendoviy Modelism. Each issue comes with a decal sheet designed for one of the Zvezda kits; the sheet in the latest issue is for the Ka-27 Helix. The book is a history of the Hughes OH-6A and 5xx series. 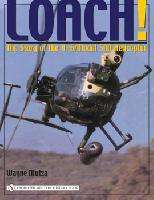 The nine chapters cover the Army's controversial LOH contract history in detail, the troubled fielding and use of the OH-6A as a prime aeroscout platform in Vietnam, post-Vietnam usage by the Army, the Army National Guard, the Navy, the USAF, and other federal agencies, and the emergence of the commercial, paramilitary, and military variants sold world-wide. There is a chapter devoted solely to black operations, with in-depth coverage of the NOH-6P, the 500P, and the Little Birds used by the 160th SOAR in Special Ops combat operations. Air America and Seaspray (the covert CIA/Army aviation unit) operations are also covered, as is the use of EH-6Bs, and the move to modernize the Little Bird fleet via the MELB upgrades. Another chapter is devoted to the Silver Eagles, the US Army's now-defunct helicopter demonstration team. The next chapter is on the global usage of 5xx variants. Chapter 8 covers law enforcement usage. Chapter 9 covers the few remaining preserved OH-6As. The book concludes with 15 pages of OH-6/5xx patches, many of them being Air Cav/Aeroscout-related. Appendix A consists of a list of all units which are known to have used the OH-6A in Vietnam, Appendix B lists production blocks and serial numbers of the OH-6A, Appendix C lists the world records held by the OH-6A, and at the end there's a bibliography of source material. The book has 144 pages, is 8.5 inches by 11 inches, and is a typical Schiffer softback. There are 251 color and black and white photos. Sadly there were many more photos planned originally, but Schiffer cut down on the number to reduce printing costs. Any larger and the book would have had to be printed as a hardback, with a price increase to match. Typical of Schiffer books is that there are no general layout diagrams, three-view drawings, or dimensional data tables. Although there are many interesting photos to look at, very few show any detailed internal views, so modelers seeking such information may be somewhat disappointed, i.e. 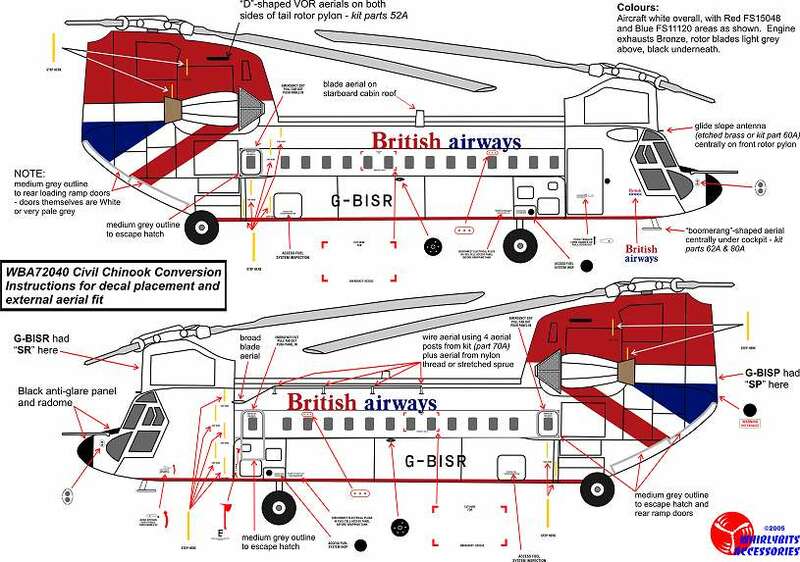 this book is not a technical breakdown of the aircraft structure. Although I'm a contributor and somewhat biased, in my opinion this book is very good and is especially strong on the convoluted history of the LOH contracts, and the troubled NETT fielding of the OH-6A in Vietnam. Also of interest is new information on the numbers of OH-6 airframes built, which has always been somewhat of a mystery. Hughes built many test articles (at least 43), some of which actually flew prior to the supposed prototypes. Hughes` relationship with the covert side of things is also of interest. Wayne had enough Vietnam-era historical material to work with to do a follow-up book solely about aeroscout operations and crews, which he is in the process of writing. 11. 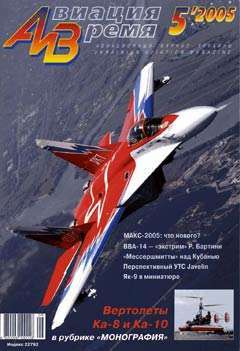 Although its cover is dominated by some sharp & noisy item, the highlight of the 5/2005 issue of Aviatsiya i Vremya is actually an article on the Kamov Ka-8 'Irkutyanin' and its successor the Ka-10; complete with 1:72 plans. Thanks to Maurizio Di Terlizzi, Guy Holroyd (Linden Hill), John Hairell, Andrey Kotkov, Richard Stubbs, Felix Troschier, Roger Evans (Whirlybird), and Jay Carrell.